Jacob Stewart is the Director of Information Technology for Stratos Wealth Partners. His team provides full service helpdesk support firm wide. 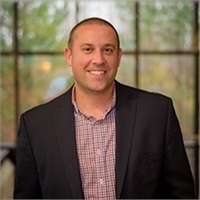 Along with supervising the IT department, Jacob’s responsibilities include management and support of all technology assets, developing business continuity & strategic plans, administering IT policies and procedures, and auditing information systems for compliance and security standards. Jacob has over 15 years of experience in the technology field. Prior to joining Stratos Wealth Partners in 2009, he provided IT consulting, network administration and network security to his clients. Jacob brings valuable industry knowledge, technical capabilities and leadership skills to his current role that he has obtained throughout his earlier career where he served in roles as a network technician, systems administrator and IT consultant. Jacob attended Youngstown State University where he studied Computer Information Systems and played collegiate football. His IT certifications include MCITP, CCSA and he is currently obtaining his ITIL v3 and MCSE certification. Jacob resides in Austintown Ohio with his wife and two children.